The Rickie Weeks experiment is over; the converted Left Fielder (formerly 2nd baseman) was unable to adapt to the new position defensively or maintain a sufficient offensive numbers to contribute. Designated for assignment to Triple A on Saturday, it remains to be seen what the long-term plans are for Weeks. Rickie batted .167, with 7 runs scored, 2 HR, 7 RBI, while striking out 25 times. 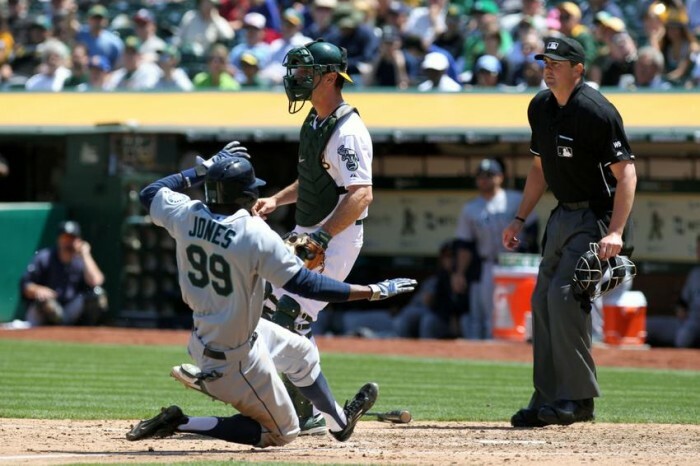 The 6’4′ James Jones may be the best athlete in the entire Mariners system. The 4th round pick out of Long Island University, stole 27 bases last year, in his rookie season. With 312 at bats, James hit .250 with 46 runs, 9 doubles, and 5 triples. Jones is a decent defender whose speed allows him to play center and left field. But, it will be his speed on the base paths that could elevate this team that is currently last in the AL in stolen bases.